never go wrong with florals! but to check out more photos see my flickr. Me and the boyf (pretending to) taking a lil nap. 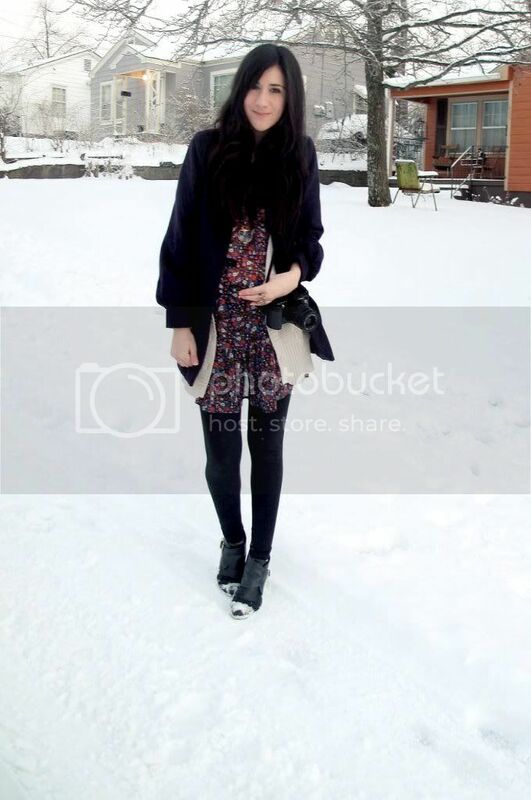 wearing: secondhand dress; f21 coat & tights; Target sweater, Topshop boots. You look amazing- love the photos, and that dress is just wow. 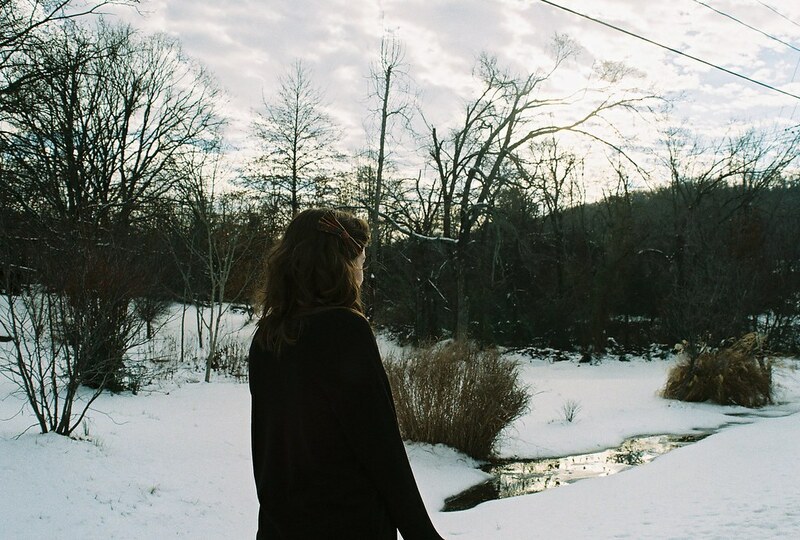 I love the film pictures so much, they are all so pretty! I love the last picture, it reminds me of Eternal Sunshine of the Spotless Mind when Jim Carrey and Kate Winslet are lying on the ice. Are you serious both of you are in that mattress? You guys are brave. 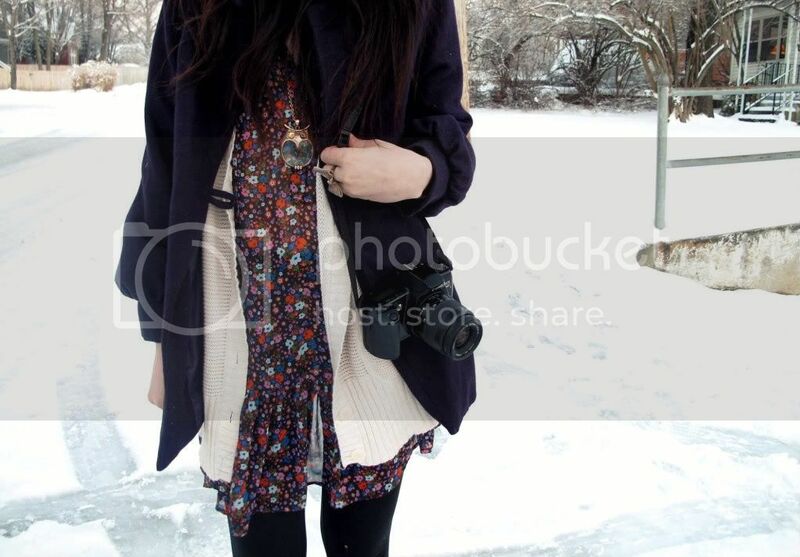 Love your floral dress and how it works with the snow background. i LOVE FLORALS... I can't help it, I'm addicted now. cute pics! and i love your outfit! 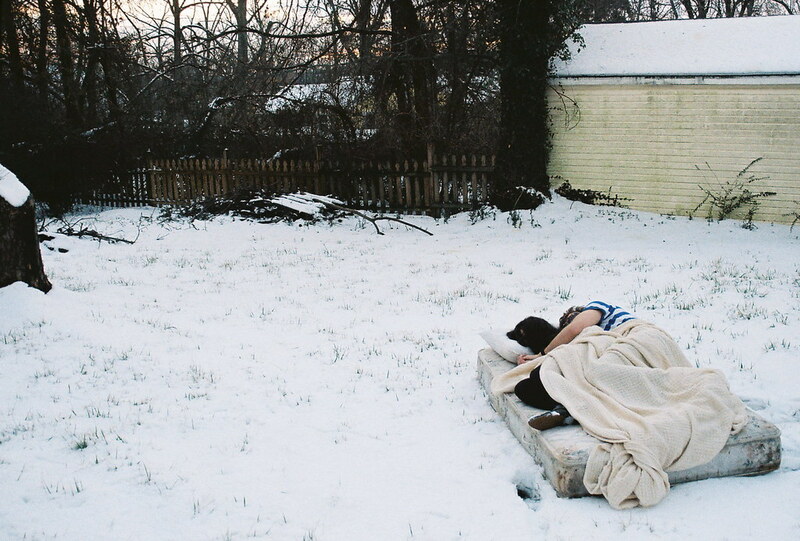 i love the last picture of you and your boyfriend on the mattress. you two seem so sweet! You and your friends are so cute. Don't you just hate being stuck. At least you'd got to spend lots of time together! I'm sure you don't think so, but you're so lucky you have snow! We don't have any snow, but it's still freezing. It's like a dry freeze and I have no idea what to do with myself. the last photo is gorgeous. You look amazing, and I love that last photo. You should take more photos of you and your boyfriend. They're really lovely, the last one you had was really cute. Interesting article you got here. It would be great to read more about this topic. Thanx for sharing that material. and what a lovely necklace you have! i think it's cool you have snow where you are cause where i'm at we don't have any (: have fun! This is so lovely :) You're right nobody can fight against flowers, it's the trend and it's a cool pattern, so wear it as often as possible. 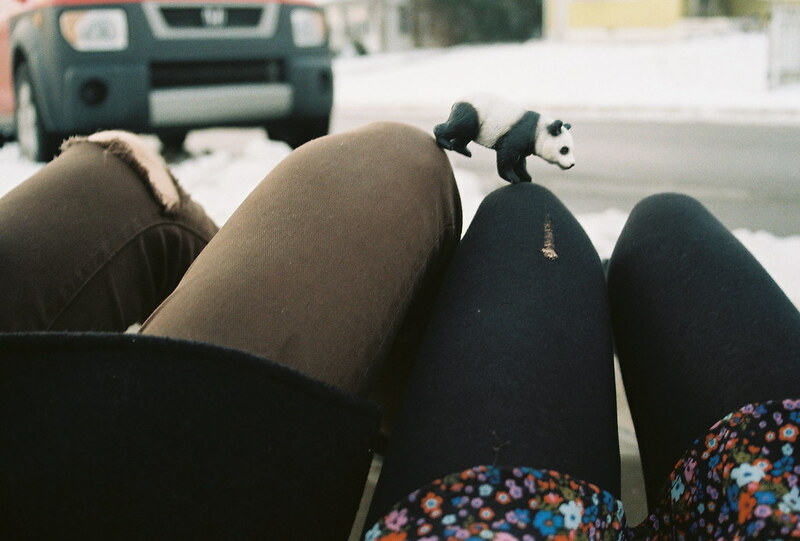 Oh my, those 35mm photos are beautiful! Did someone else take that last one for you or does your camera have a self-timer? What kind of camera is it anyway? This photos are really good. love the photos that you took with your camera! and i say you improvised very well. Lying on the snow!! How awesome. Great pics! i love your dress! Absolutely love the floral dress and those shoes! such a cute dress - those photographs are too darling for words! Takings Our Uncouth Prices at www.Pharmashack.com, The Firstly [b][url=http://www.pharmashack.com]Online Pharmacy [/url][/b] To [url=http://www.pharmashack.com]Buy Viagra[/url] Online ! You Can also Learn up Solemn Deals When You [url=http://www.pharmashack.com/en/item/cialis.html]Buy Cialis[/url] and When You You [url=http://www.pharmashack.com/en/item/levitra.html]Buy Levitra[/url] Online. We Also Take a Immense Generic [url=http://www.pharmashack.com/en/item/phentermine.html]Phentermine[/url] On account of Your Victuals ! We Give up Besmirch marker [url=http://www.pharmashack.com/en/item/viagra.html]Viagra[/url] and Also [url=http://www.pharmashack.com/en/item/generic_viagra.html]Generic Viagra[/url] ! Predilection casinos? poke about this late-model [url=http://www.realcazinoz.com]casino[/url] president and dally online casino games like slots, blackjack, roulette, baccarat and more at www.realcazinoz.com . you can also search into our redesigned [url=http://freecasinogames2010.webs.com]casino[/url] make something at http://freecasinogames2010.webs.com and seize word-for-word to heyday means ! another hermitic [url=http://www.ttittancasino.com]casino spiele[/url] more is www.ttittancasino.com , during german gamblers, extent magnanimous online casino bonus. I loveee your outfit!! The floral dress is gorgeous. i like your dress!Amazing pics! snowed in?!? ekkk...that's the worst. but i love love love your outfit--especially your necklace. Love the floral and those topshop boots. That last photo is so sweet! 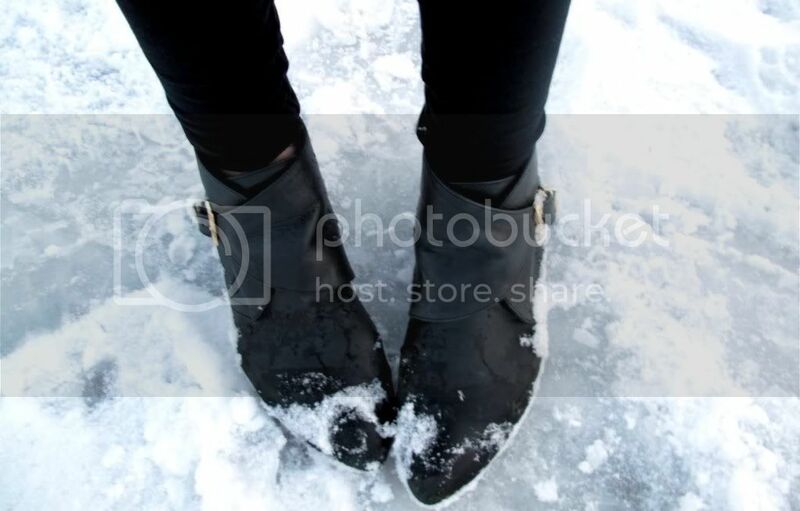 These pictures in the snow are amazing!! I love the floral dress underneath too! I love this dress & you always have the cutest photos :) Hope you have a wonderful week! Wow what beautiful pictures. I especially love the last one - it's so artistic. adorable outfit! i love this blog! You need to turn that last photo into a postcard of some kind and make money off of it! Love this outfit! Especially the dress. more concerning that theme. Thanks for giving that data.